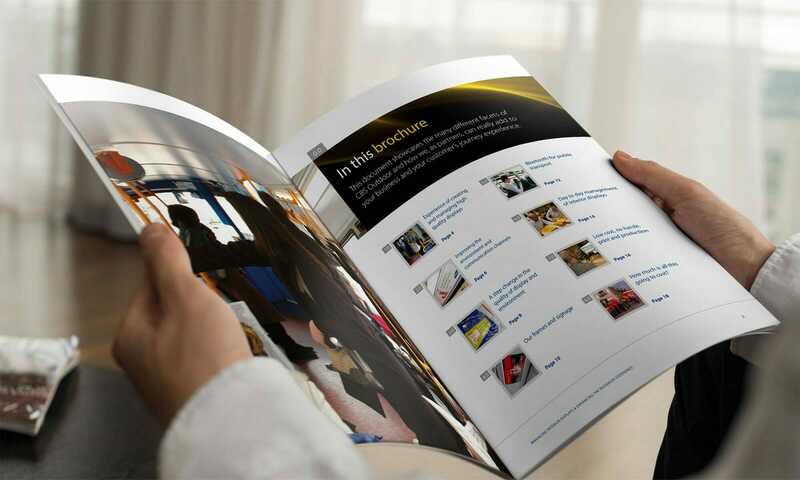 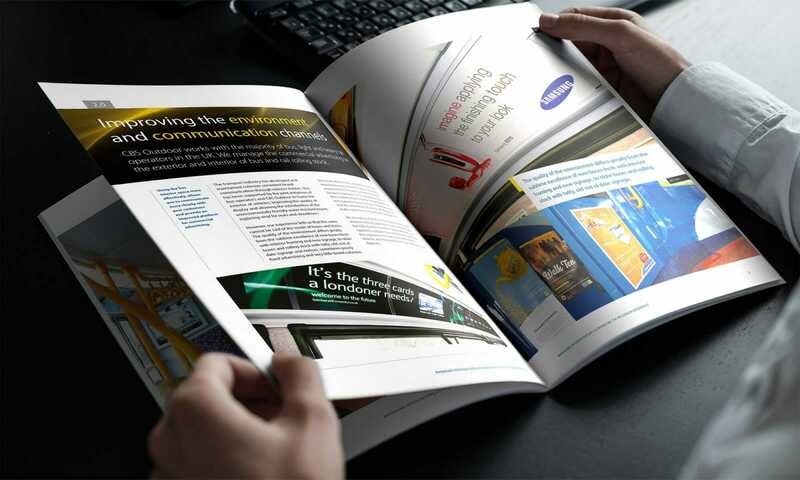 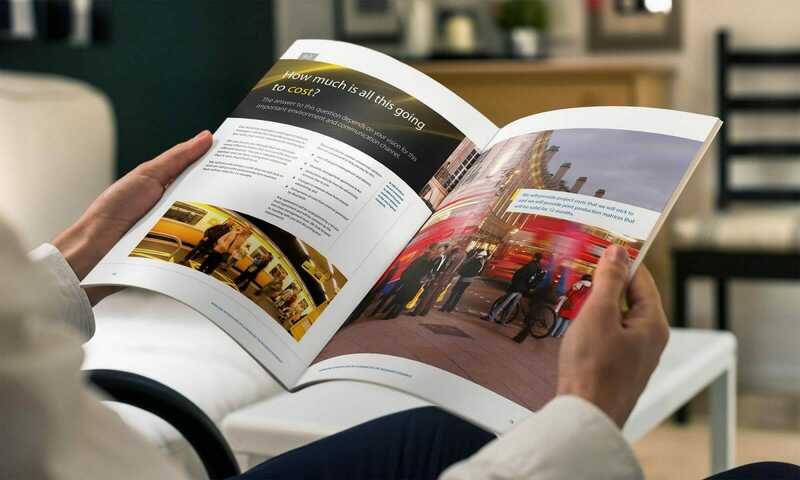 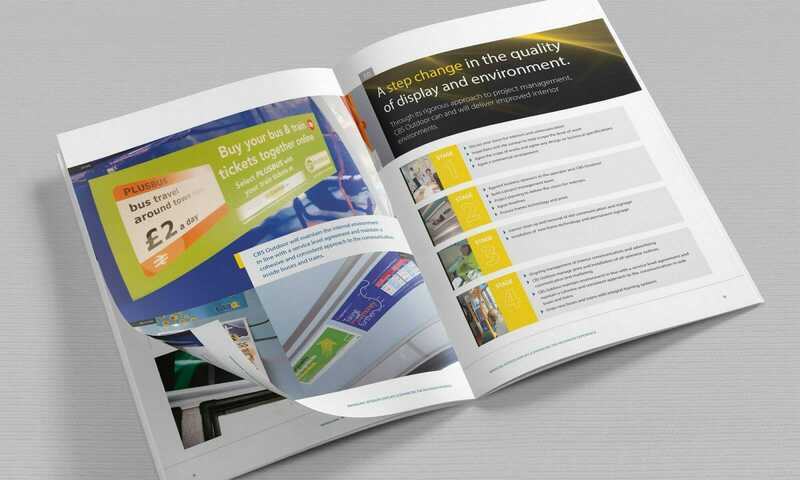 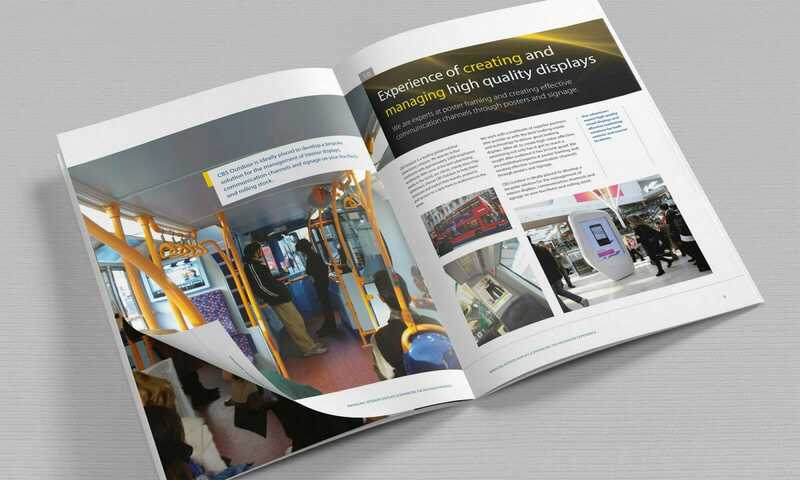 A brochure on managing interior displays on UKs buses as a turnkey service. 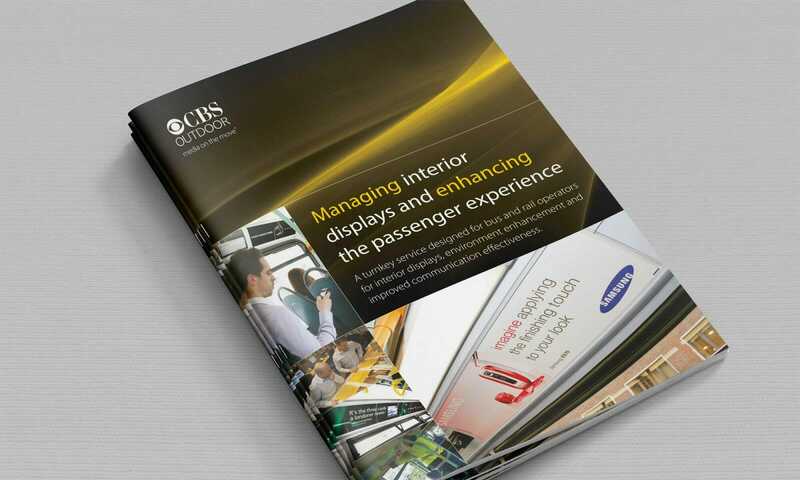 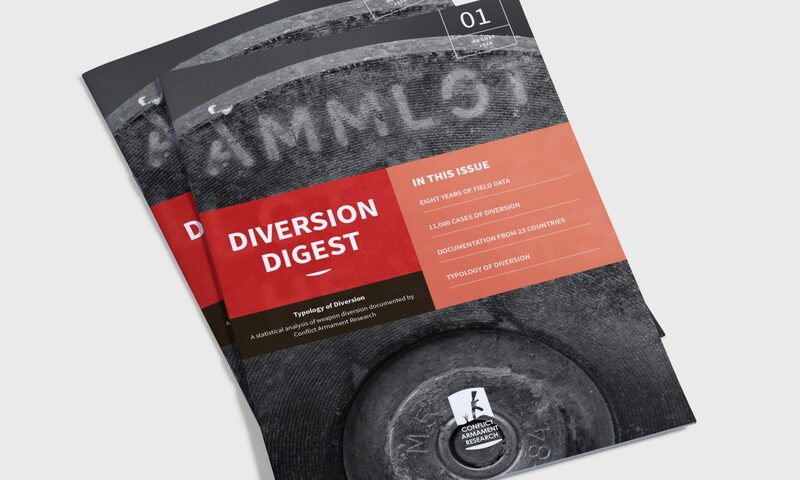 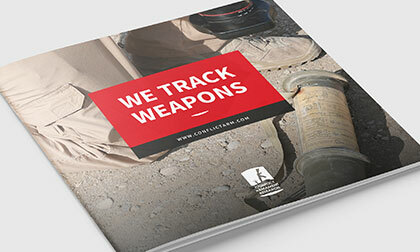 This 20-page brochure was designed to highlight CBS Outdoor’s expertise in interior advertising displays and their experience in improving the passenger experience. 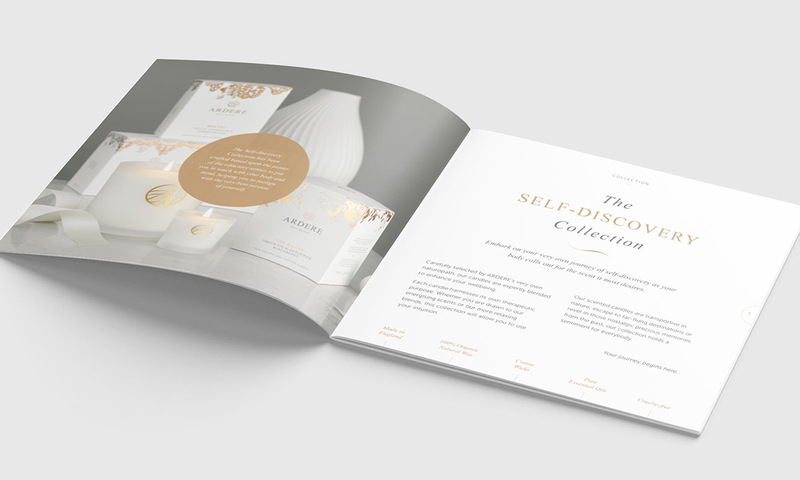 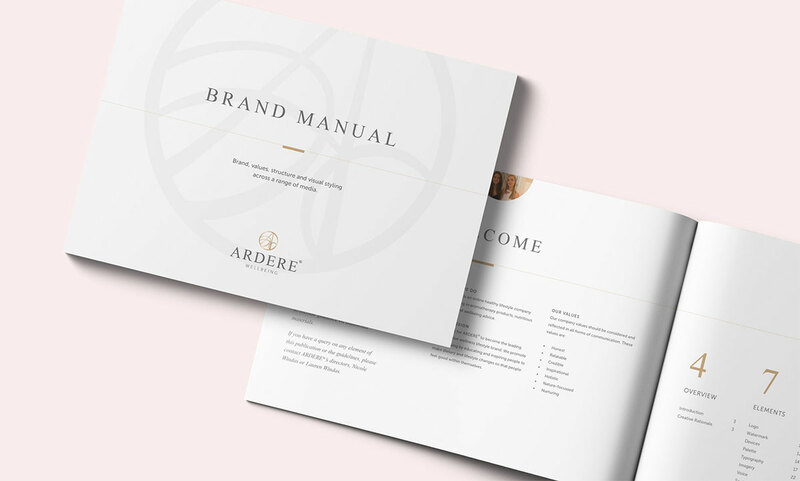 The cover is based on the framework created in their corporate guidelines with interior styling (not covered in the guidelines as yet) reinforces the covers geometric structure and use of the abstract lighting motif.